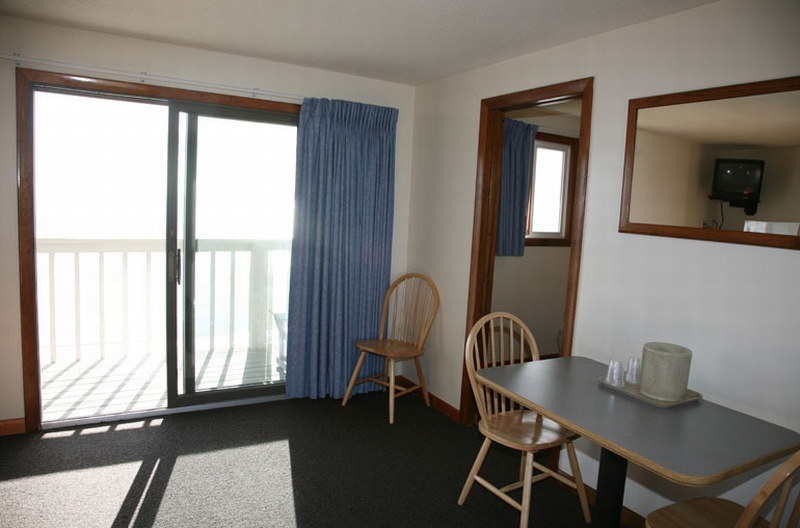 Our two room beachfront efficiencies offer larger families or adult couples traveling together more living space and privacy for sleeping. 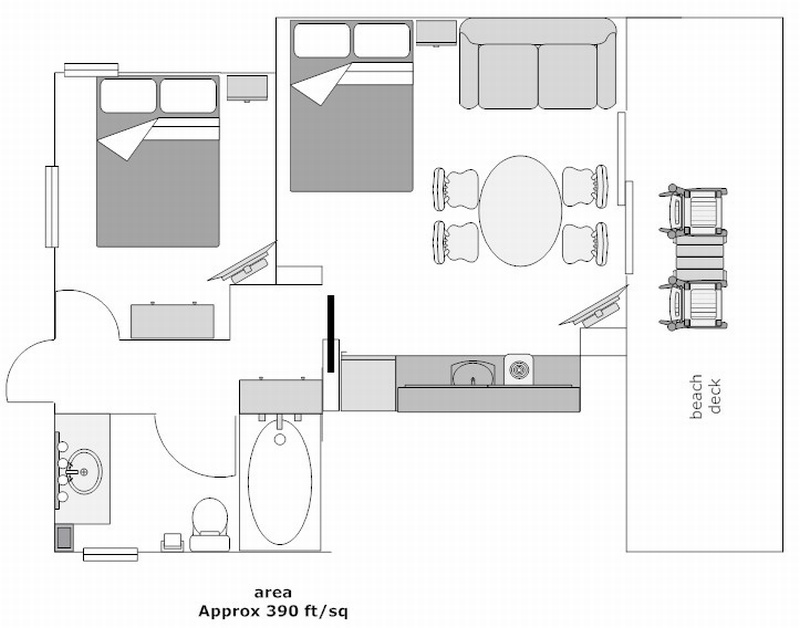 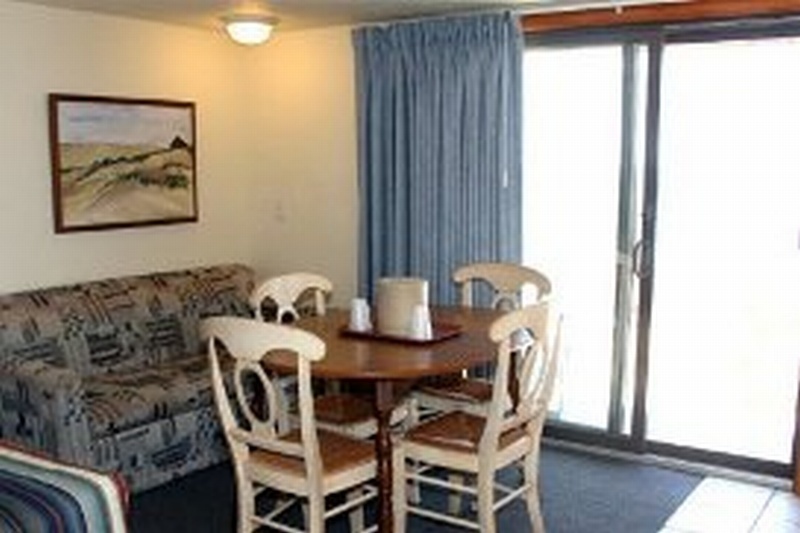 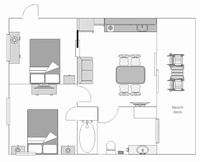 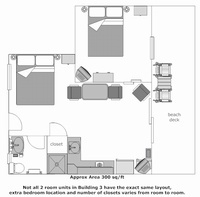 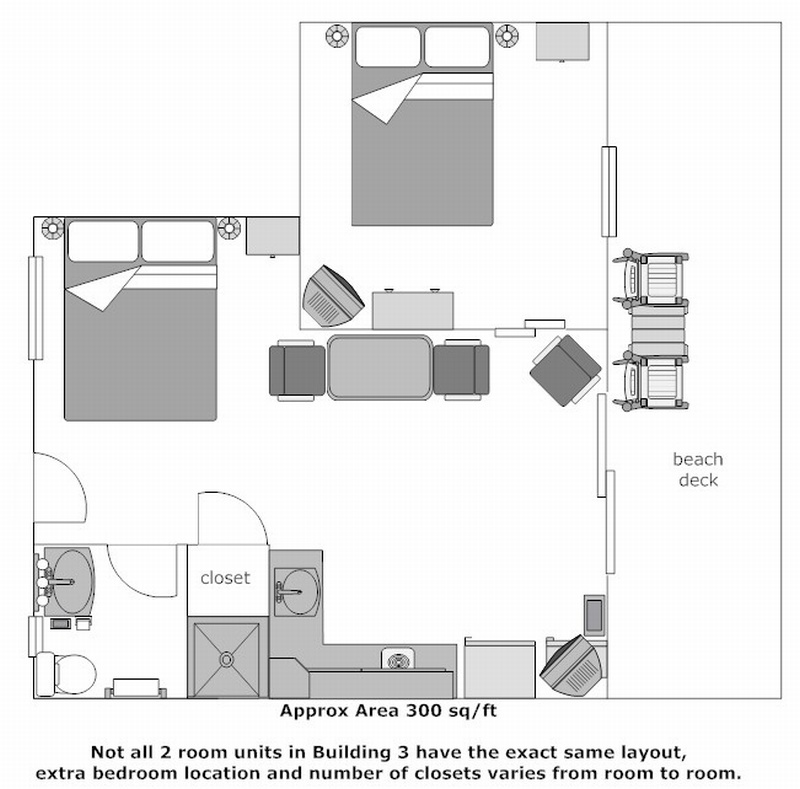 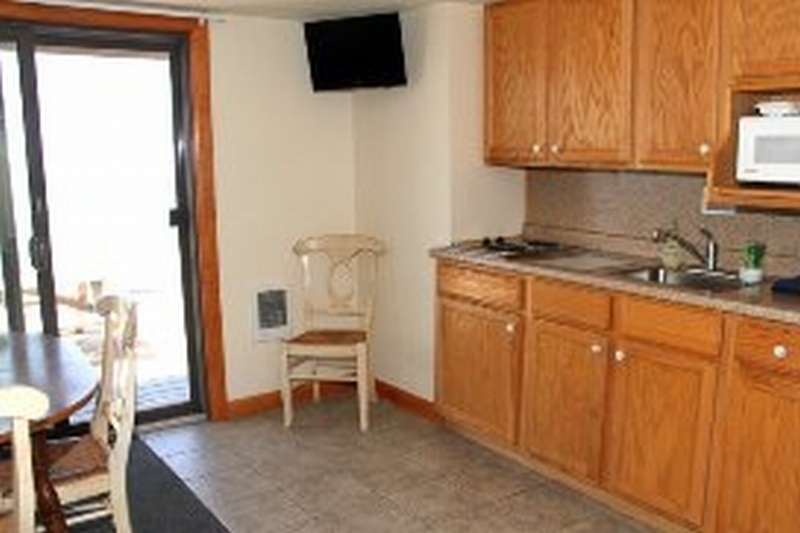 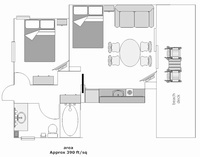 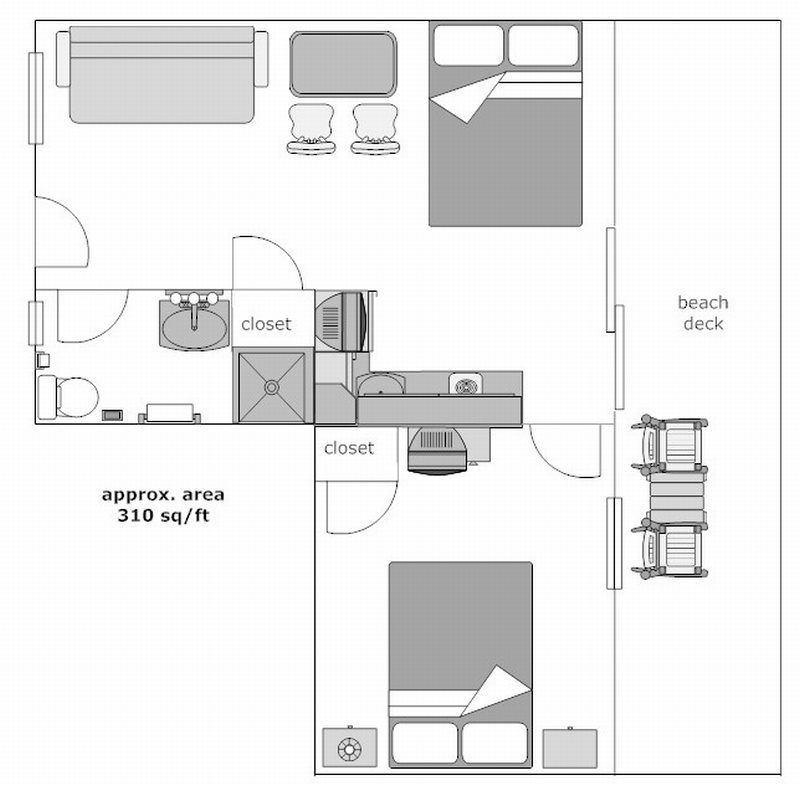 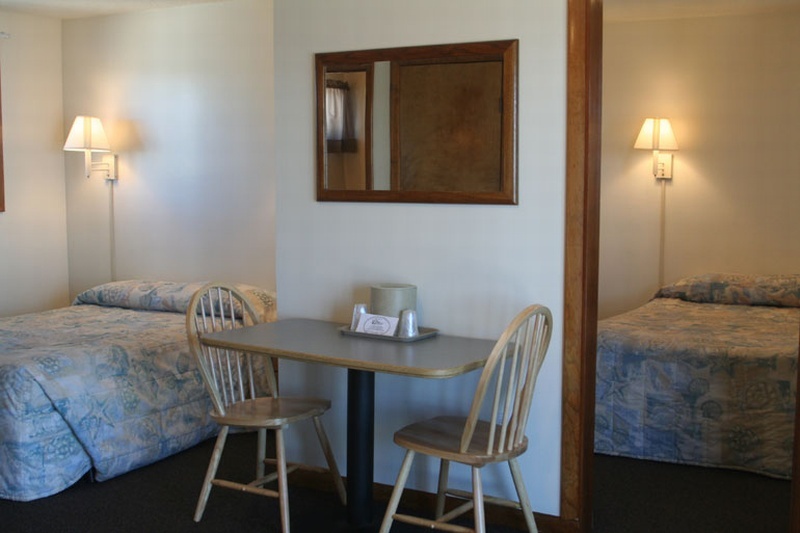 The rooms have a common area that consists of one Queen bed, table and four chairs, kitchen area, and private bath. 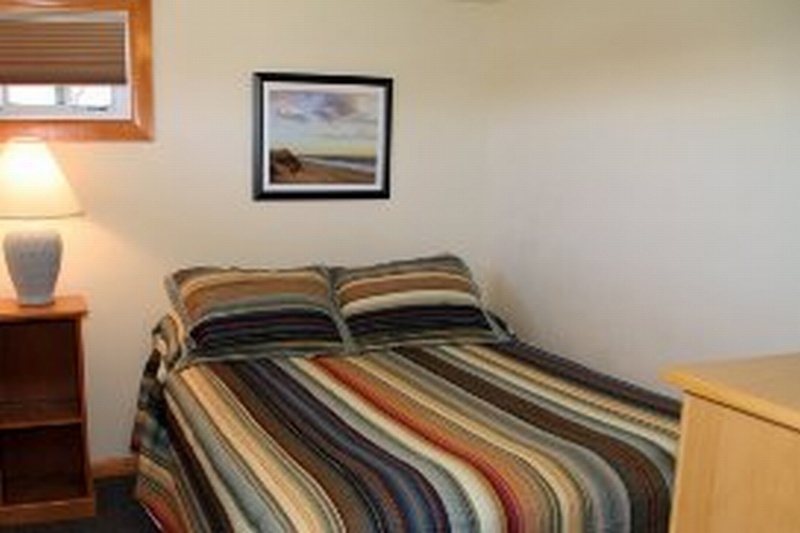 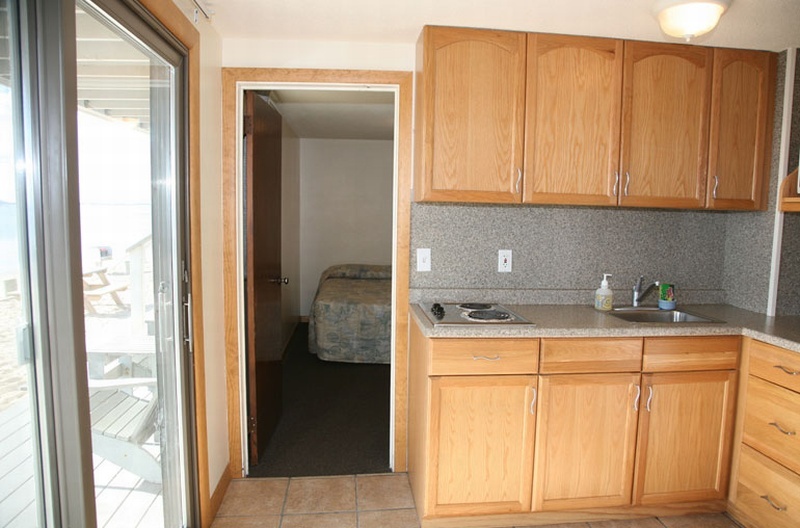 Off of this room is a private bedroom with one double bed, bureau and another color, cable tv. 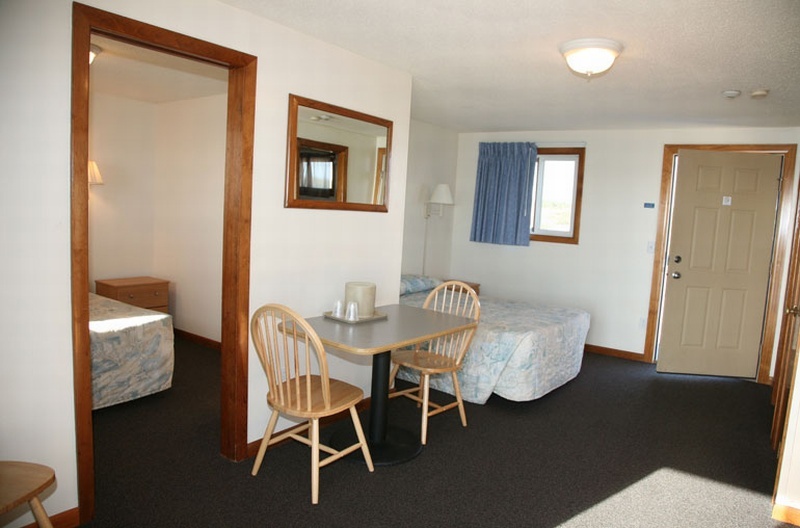 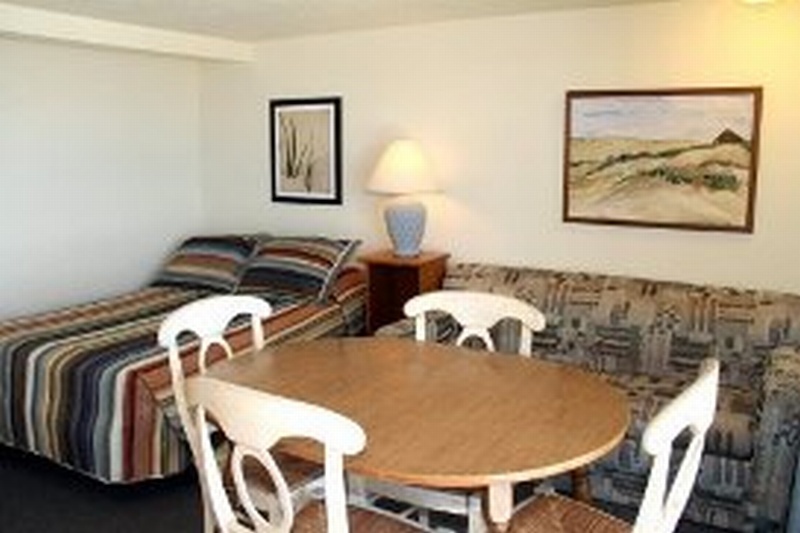 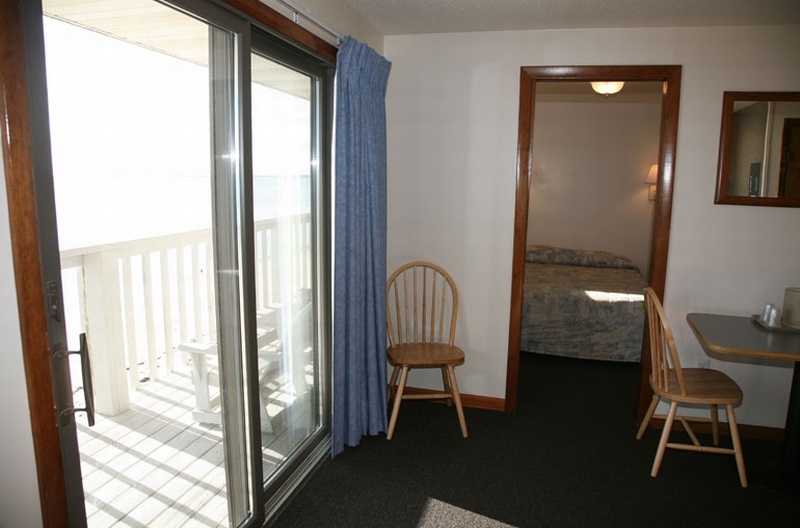 These larger rooms offer just the extra space you need to make your vacation with friends or family comfortable and relaxing!